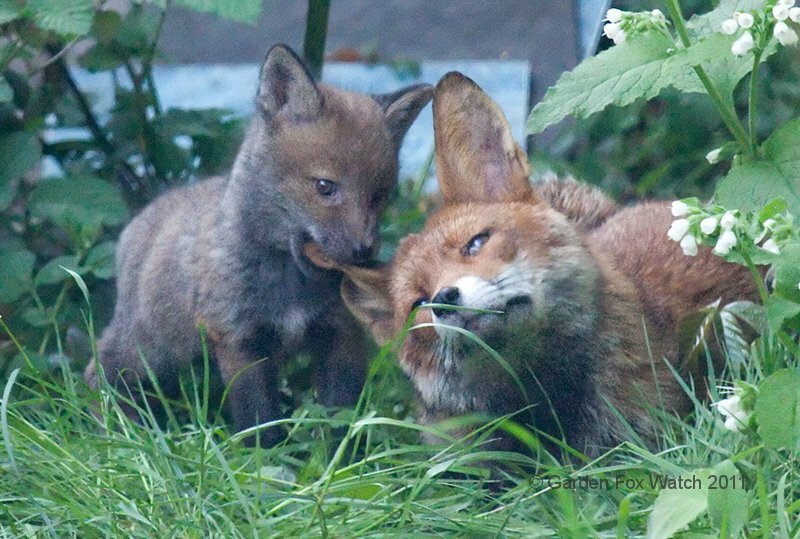 Garden Fox Watch » Don’t eat my ear. I really mean it. Don’t eat my ear. I really mean it. 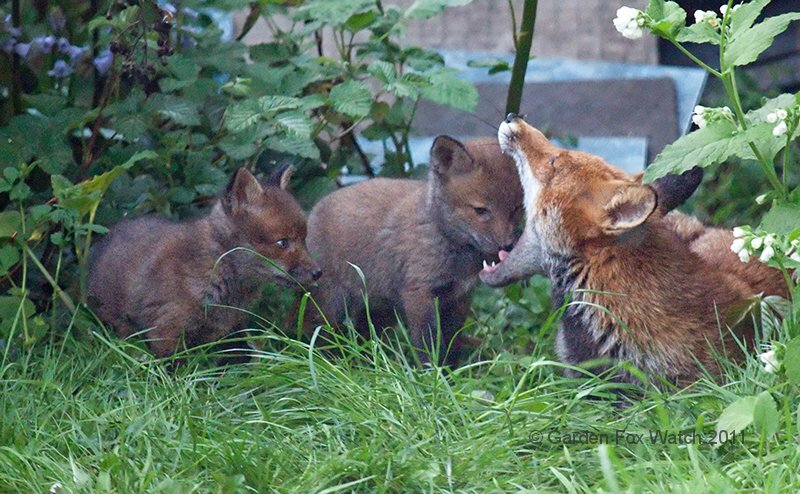 Any of you who have been reading this blog for a while — or probably any time longer than a day or two — may have formed the idea that fox cubs are naturally boisterous. Well, yes. 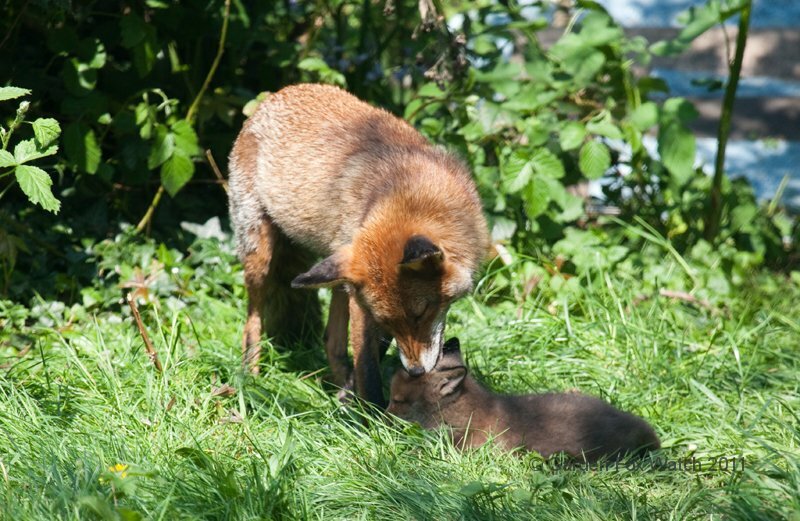 If you’re a vixen with cubs, you’ll very soon get used to being climbed on, played on, played with, and chewed. However, if you are a small cub, you may wish to be aware that your head will fit in your mother’s mouth… if she wanted it to. The third one is hilarious!